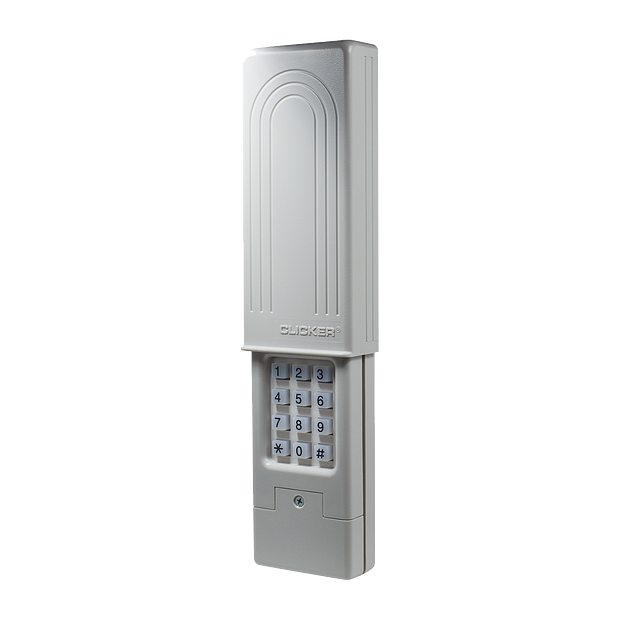 Provides trusted keyless garage or gate access. 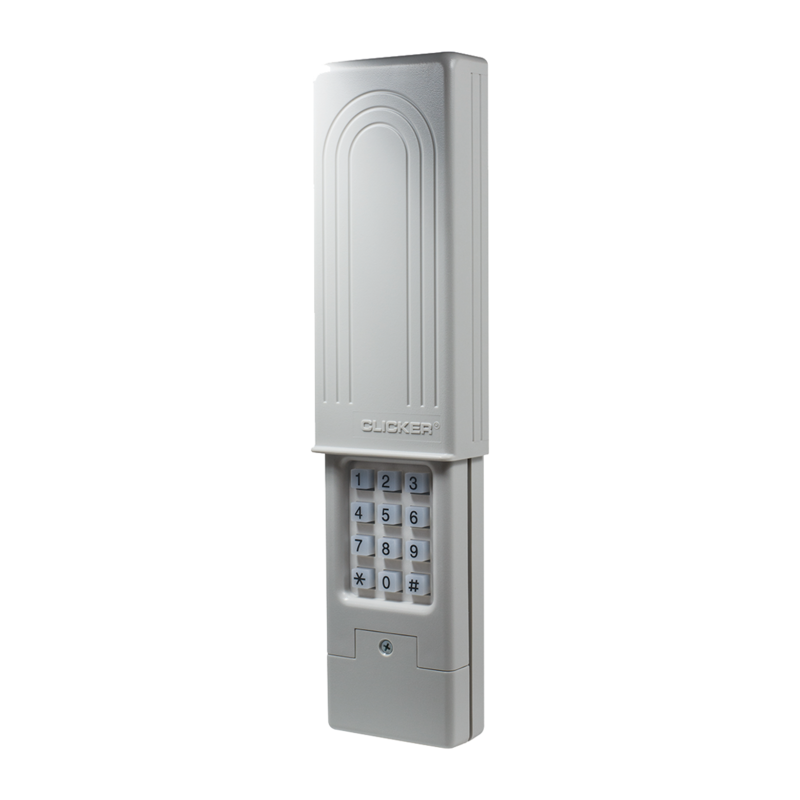 The backlit keypad provides visibility in any light to allow entry via a personal four-digit code. Set up in seconds with easy-to-follow wireless programming and universal frequency recognition of over 90% of all garage door openers installed in North America, including major brands such as Chamberlain®, LiftMaster®, Craftsman®, Genie® and many more. 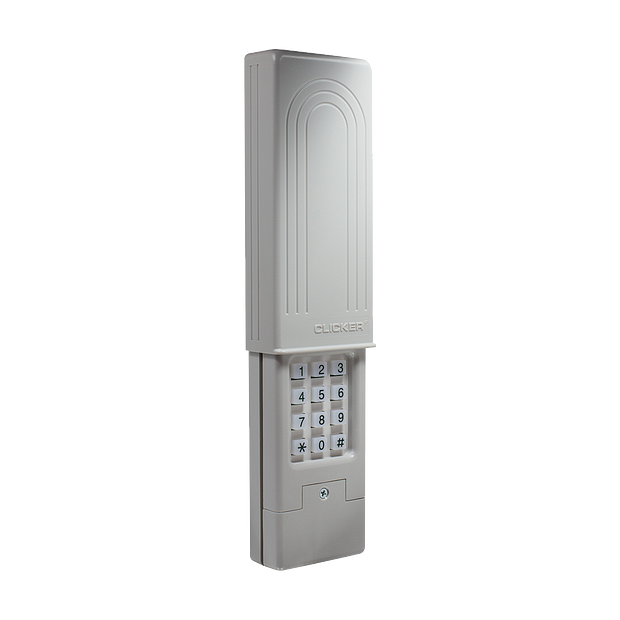 A perfect fit for active lifestyles, this keypad is a great complement to a traditional visor and/or compact personal remote. Includes 9V battery and instruction manual. Highly compatible: The Original Clicker® Universal Wireless Keypad provides trusted keyless garage or gate access. Universal frequency recognition identifies over 90% of all garage door openers installed in North America, including major brands such as Chamberlain®, LiftMaster®, Craftsman®, Genie® and many more. 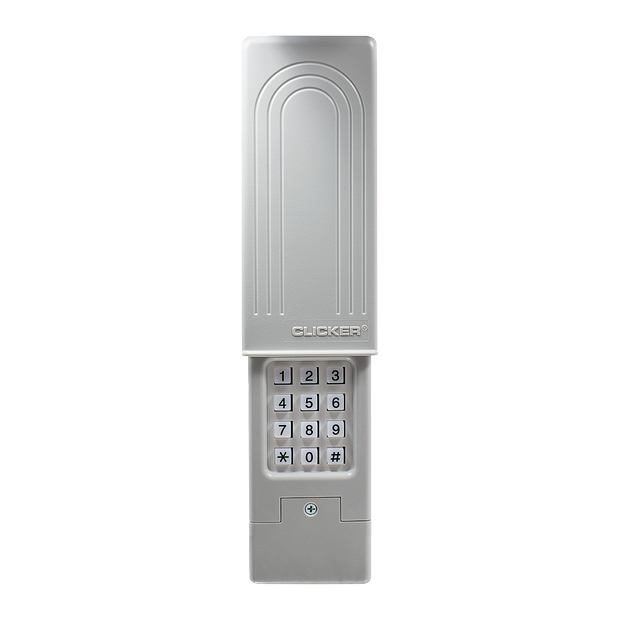 WARNING: The Original Clicker® Universal Wireless Keypad by Chamberlain is intended for use with residential door openers manufactured after 1993 that use photoelectric sensors. Any garage door opener that does not have these sensors installed and working is not compliant with current federal safety regulations and should be replaced.